Melting Chocolate and Tempering Chocolate are not the same. It is not necessary to temper chocolate when it is used as an ingredient in a recipe. Tempering is necessary if the melted chocolate is to be used in a baked items or in a candy center that contain other ingredients. The most important rule is not to hurry or rush when melting chocolate and always use low heat. DO NOT let the temptation to turn up the heat to try to hurry the process, as rushing the process will ruin the flavor and texture of the chocolate. Break up, grate, or chop the chocolate into small pieces. The chocolate will melt fast and more easily if you do this. Use a rubber spatula, not a metal or wooden spoon to stir the chocolate (wood can retain moisture). Use only rubber spatulas that have not been exposed to strong flavors such as tomato sauce or garlic. Always melt chocolate slowly, at a low temperature. The melting point of chocolate is between 86 degrees F. (30 degrees C.) and 90 degrees F. (32 degrees C.), lower than body temperature. Using high heat is very risky and the most common cause of grainy and/or lumpy chocolate. Chocolate melts better and faster when using lower temperatures. Never let the temperature of your chocolate get above 115 degrees F. Milk and white chocolates, which are more heat sensitive, should not be heated above 110 degrees F. Use an instant-read thermometer to check the chocolate’s temperature while melting. Stir the chocolate slowly and gently and keep movement to a minimum. Always melt chocolate uncovered as moisture can condense on the lid and fall back into the chocolate causing it to seize. Before pouring the melted chocolate into another container, be sure to wipe the exterior of the pan or bowl dry to prevent water drips. Water and chocolate do not mix. Remember, chocolate is an oil-based product, and oil and water do not mix. Be careful not to drip any water into the chocolate. Chocolate responds noticeably to small amounts of moisture by transforming it from a shiny, smooth texture to a lumpy, grainy mass (called seizing). That’s because there’s not enough liquid to moisten all the dry particles within the chocolate. Please make sure any equipment you are using (pans or bowls) are perfectly dry, as any stray drops of water will cause the chocolate to thicken and stiffen. See What to do if you make a mistake when melting chocolate below. This is the preferred methods of melting chocolate. In this method, the chocolate is either broken, grated, or cut in pieces, melted over hot, simmering water, in a double boiler. Either break up, grate, or chop the chocolate into small even pieces. Preheat oven to a low setting – no higher than 300 degrees F. (150 degrees C). After preheating, turn oven off. Place chocolate pieces in an oven-proof bowl, place in oven, and let stand until melted. Use an instant-read thermometer to check the chocolate’s temperature while melting. Either break up, grate, or chop the chocolate into small even pieces. Heat the chocolate in a microwave-safe bowl, uncovered, to prevent moisture from collecting. Place chocolate in the microwave for 30 seconds at a time on medium power until the chocolate is melted. Be very careful not to overheat it, as the chocolate may not look as if it has completely melted, because it retains its shape. The chocolate should be only slightly warmer than your bottom lip. You may still see lumps in it once you’ve stirred it, but do not worry. The residual heat of the chocolate will melt it. Do not rely on appearance alone when microwaving chocolate. The only way to know if it is fully melted is to gently stir it and use an instant-read thermometer to check the chocolate’s temperature while melting. Use a rubber spatula to stir the melting chocolate. NOTE: Do not leave in microwave until all the chocolate is melted. Either break up, grate, or chop the chocolate into small even pieces. Chocolate can be safely melted with a small amount of liquid, such as milk, cream, butter, or alcohol if they are placed in the pan or bowl together (the same time). Either break up, grate, or chop the chocolate into small even pieces and put it in a small plastic bag. Once the chocolate is melted, cut off the corner of the bag and you can drizzle it on cakes, etc. Add a taste-free vegetable oil (canola, not olive), shortening, warm milk or cream, or warm melted butter by the teaspoon to the melted chocolate in a saucepan. NOTE: The liquids added to the chocolate must not be cold – best if warmed to the same temperature as the chocolate. 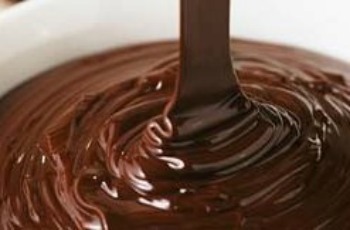 Stir constantly until the chocolate returns to a smooth state. Use 1 tablespoon of liquid for every 6 ounces of chocolate; stir until smooth. Chocolate recovered from seizing should only be incorporated with other ingredients to make sauces, frostings, or batters. It is not suitable for using alone, such as for coating candy or creating decorative curls (it will not have the same shine or delicate texture). Burnt chocolate is another matter. It is harsh, bitter taste will ruin whatever you’re making. Discard the chocolate and start again. Chocolate is the secret to professional chocolate products. Tempering is necessary if you want to make professional-quality and looking candies and truffles, you must first learn how to temper melted chocolate. Tempering is a heating, cooling, and stirring process that induces the melted chocolate to set with a glossy surface and smooth texture. Tempering is important because it determines the final gloss, hardness and contraction of chocolate. When you melt chocolate, the molecules of fat separate. In order to put them back together – you must temper the chocolate. Purchasing Chocolate for Tempering: Always purchase high-quality chocolate for tempering. It will make a difference in your recipes. When tempering chocolate, it is best to use at least a minimum oft 1 to 1-1/2 pounds of chocolate, as any less will be more apt to burn. You may use any of the above methods described for melting chocolate. Make sure the temperature of the chocolate rises to between 104 degrees F. and 113 degrees F. when melting. Do not heat above 115 degrees F. (milk and white chocolate) and 120 degrees F. for dark chocolate, otherwise it will burn. Chocolate, especially milk chocolate, is very sensitive to heat and will scorch or seize easily. A easy chocolate rule to remember – the lighter in color the chocolate, the more easily it burns. Dark chocolate – 115 degrees F.
Milk or white chocolate – 110 degrees F.
Personally, I find that it is best to just melt the chocolate until it almost melts; then remove from the heat source and stir until all of it is melted. This prevents the chocolate from burning. Once the chocolate is melted, let the chocolate to cool to room temperature, off the heat, stirring occasionally until the temperature drops to between 84 and 88 degrees F. (29 and 31 degrees C.). You can tell this is happening when the chocolate starts to set around the top edge of the bowl. When tempering chocolate, it is essential to use an instant-read Cooking Thermometer to verify the internal temperature of the chocolate. I, personally, rely on a thermometer, which is foolproof. Testing Temper in Chocolate: Smear a thin sample of the tempered chocolate on a small piece of waxed paper and refrigerate it for 3 to 5 minutes. After that time, if the sample is dry to the touch and evenly glossy, the chocolate is ready to use. If it is dull or streaky, it has not been tempered correctly. If you mess up the temper, you can always re-melt the chocolate and try again. Using Tempered Chocolate: When using tempered chocolate, you must keep it warm but not hot, ideally in the 85 to 88 degree F. range. You can either keep it over a pan of warm (but not simmering) water, stirring occasionally, or try placing it on an electric heating pad set to “low.” It is also important to stir often so that the chocolate remains a uniform temperature throughout. Blooming Chocolate: Blooming is what happens to chocolate that’s not properly tempered – the cocoa fat rises to the surface and blooms (forms a thin layer of cocoa butter on the surface – like cream rising to the top of fresh milk), making it unappealing and unattractive. Chocolate that has bloomed is ok to eat and not ok to use in candy making. Storing Tempered Chocolate: Tempered chocolate can be store for several months at a constant cool room temperature of 60 and 65 degrees F. (15 and 18 degrees C,). Do not place in the refrigerator, as the chocolate will bloom. Chocolate Clay Roses – These delightful chocolate roses can be used as edible decorations for a cake or to create a basket of blooms. 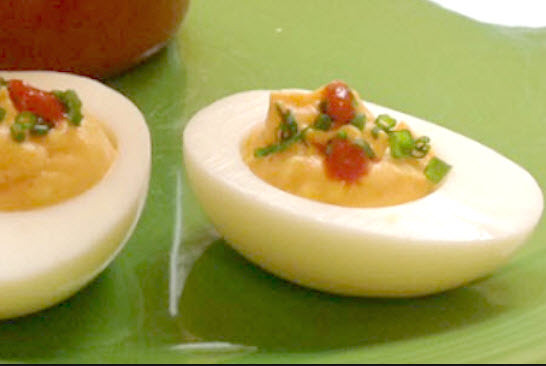 So easy to make that even children enjoy making them. how would a freshly ground cocoa be tempered.? or should i say, could it be tempered? if true, when should milk be addded and what kind, powdered or.liquified? The reason the question hasn’t been answered is because it doesn’t make sense. By definition cocoa contains no fats, thus it cannot be melted. There is no such thing as freshly ground cocoa, as cocoa is not a solid substance to begin with. You could no more have a solid block of cocoa than you could have a solid block of flour. The article contains several errors. For one thing, it isn’t necessary to use a special spatula when tempering chocolate; a stainless steel spoon works just fine. It also isn’t necessary to use an expensive instant thermometer. I use a $10 digital thermometer; it just takes a few seconds to register the correct temperature. As for melting chocolate in a microwave oven, it’s safer to use low power settings for longer periods of time. 12 ounces of chocolate chips can be melted in under 10 minutes on 20-30% power. Once at the proper temperature, short bursts of 6-8 seconds on full power will raise the temperature several degrees, to allow continued stirring. For the novice chocolatier, I find using a microwave oven to be the safest and most reliable method for heating chocolate. It’s also important to work with around 8-12 ounces of chocolate at a time. Too little and it’s easy to overheat. Too much and it’s difficult to work with while maintaining the proper temperature. How to save chocolate from melting & sweating. In India we have little hot weather so, we store chocolates into the refrigerator. Is it right? How to store chocolate? Which coconut oil is best as only in winter we have solid coconut oil available. Rest of the seasons it is in liquid form. Thank you.